I grew up drinking buttermilk thanks to my grandma. She also cultivated in me a deep regard for coffee and All My Children. When Grandma was moved from her home into a convalescent hospital, I lost my buttermilk-drinking buddy (and an awful lot more). Through the years I kept my coffee habit going, and caught up with Erica Kane as often as I could. But buttermilk was just a fond memory from the past. I would have the occasional buttermilk pancake or biscuit and reminisce with every bite about those days spent with my grandma, and feel a little sad that I had no one to share my fondness of buttermilk with any longer. As I have pursued a more natural way of living I have looked into many traditional foods and beverages and have been incorporating many of them into my life. Buttermilk is one of those traditional beverages that I have started making, and it’s just as wonderful as I remember it. 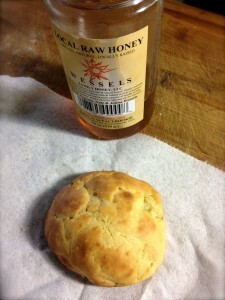 Buttermilk can be produced a few different ways. If you start with non-homegenized milk, you can allow the milk to sit undisturbed until the cream has separated and risen to the top of the milk. You would then scoop out the cream to make butter with. A simple way to make butter is to put the cream into a mason jar and shake it until the solids (butter) separate from the liquid. The liquid that separates from the butter is considered buttermilk. You can also culture (aka ferment) milk to produce buttermilk. By adding a live culture to the milk and allowing to sit on your counter for 12-18 hours you end up with a delicious, slightly tangy cultured drink. I have made my own butter, but didn’t make enough to have hardly any buttermilk left over. Culturing buttermilk is an easy way to keep a good supply on hand if you’re not making butter regularly, and it can be used many different ways. If you don’t want to drink it straight (I can’t even believe you wouldn’t want to), then you can add it to smoothies or soak flour in it to make buttermilk biscuits, pancakes, waffles, muffins, etc. Soaking your flour in buttermilk not only imparts that yummy buttermilk flavor into your baked goods, but it also makes grains more digestible by neutralizing phytic acid and breaking down gluten. I purchased a buttermilk starter culture from Cultures for Health. After getting the culture going (making a “mother”), I can now have fresh buttermilk on hand at all times! You just need to save some buttermilk from each batch to add to fresh milk to make a new batch. Super simple. 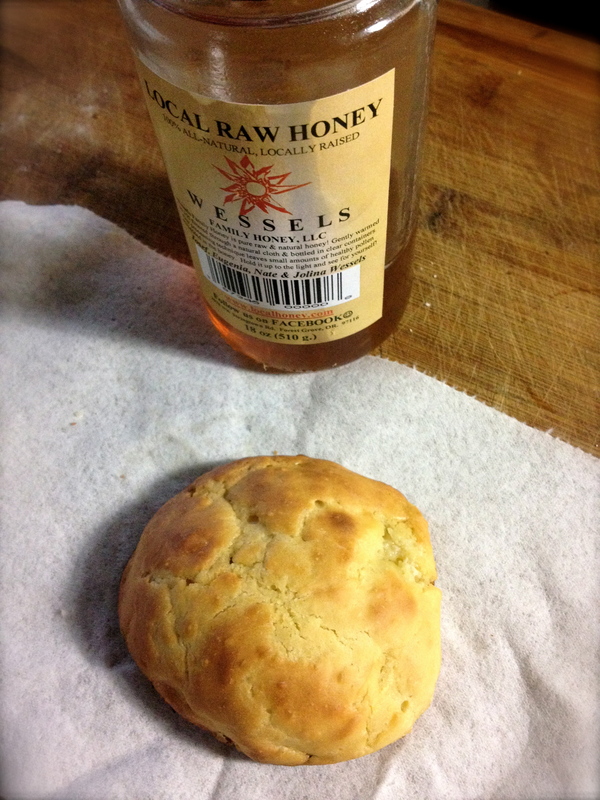 And let me tell you, a homemade buttermilk biscuit fresh out of the oven and smeared with honey is just about the best thing EVER.